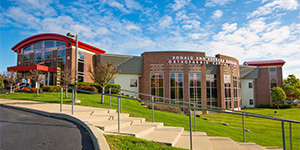 Grace College seeks to meet students where they are. 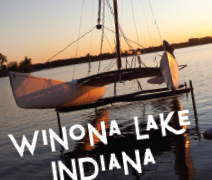 Our campus is located in the historic lakeside town of Winona Lake, Indiana, which includes miles of wooded walking and biking trails, cute shops along the canal, fine dining, awesome lake activities, and tons of nearby conveniences. The Village at Winona gives students an off-campus retreat where they can relax, study, and spend time with friends. Grace also has 50 minors to choose from. Grace College seeks to meet students where they are. Over the past few years, Grace has been a front-runner in taking the initiative to offer new educational options to today’s student without compromising the essentials of scriptural authority, quality education, transformative experiences, and affordability. Grace offers a three-year accelerated degree option for academically aggressive students while remaining an evangelical, four-year liberal arts college. Its unparalleled curricular model offers practical learning experiences that apply biblical values as students strengthen their character, sharpen their competence, and prepare for service. Grace faculty work closely with students as they strive to achieve a synergy between comprehensive learning and competent thinking. More than 70 majors and concentrations are available from the Schools of Arts and Sciences, Behavioral Science, Business, Education, and Ministry Studies. Grace’s programs make the classroom experience more interactive as students use emerging technologies, case studies, and a discussion/debate presentation model. Grace knows that higher education is changing; as a result, the College has embraced a readiness to adapt methods of education that help students become confident experts in their fields. It’s a whole new kind of career readiness that moves students from mere content comprehension to confident proficiency. Grace wants to collaborate with students, working to understand how they learn and think best. As a result, a Grace education is being redesigned so students can become confident experts in their fields by the time they graduate. It’s a whole new gear of career readiness that moves students from mere content to true competence. Academic proficiency is vital to education, but Grace understands that real-life context application is also crucial. At Grace, a student’s degree will be comprised of at least 12 credits of applied learning, giving students time for internships, study abroad, cross-cultural experiences, student teaching, research fellowships, and student leadership positions. This method of experiential learning is where a student’s calling becomes evident and his or her expertise is validated. Grace continues to see a great response from parents and students to Grace’s cost savings and high-quality Christian education solutions. For their newest program called Measure of Grace, effective fall of 2015, students who enroll at Grace as full-time traditional undergraduates will never pay higher tuition once they enroll. Finally, all textbook rentals are free for those undergraduates, saving an additional $4,800 over their four-year stay. 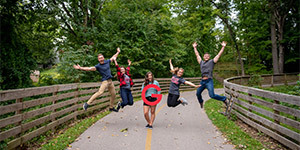 Grace College helps students ease the burden of college costs by providing generous financial aid, and it’s making a Christian liberal arts education even more affordable for thousands of families. Students can now opt for a three-year bachelor’s degree, which cuts approximately 25% off the cost of a college education and helps graduates enter the job market one year earlier, affording them an additional 25% return in the form of a year of income. Students can also complete a bachelor’s degree and a master’s degree simultaneously in just four years total with the new blended degree option.